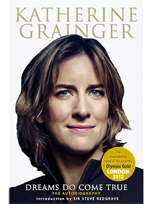 Dame Katherine Grainger is Britain’s most decorated female athlete with Olympic medals from 5 consecutive Olympic Games. Originally from Glasgow, Katherine studied at Edinburgh University, where she took up the sport in 1993. 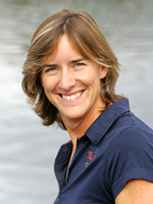 Her international rowing career began in 1997 and since then she has won 6 world championships. Uniquely in the UK, she has won world championship medals in all available Olympic boat classes. She has won 4 Olympic silver medals at Sydney, Athens, Beijing and Rio 2016. In 2012, she won an Olympic gold in front of a home crowd. Katherine is the only British female athlete from any sport to win medals in five consecutive Olympic Games. 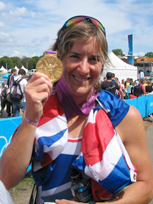 Katherine took a 2 year break from rowing after London 2012, during which time she worked for the BBC as a sports co-presenter and pundit. She also spent time visiting schools and sports clubs promoting the Olympic legacy and developing her natural talents as a motivational speaker. She was awarded an MBE in 2006, a CBE in 2012 and a Damehood (DBE) in the 2017 New Year’s Honours for services to rowing and charity. Katherine has an honours LLB (Edinburgh), an MPhil in Law (Glasgow) and a PhD in the sentencing of homicide (King’s College London). 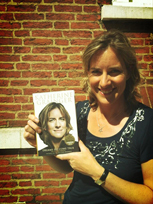 Alongside her studies, Katherine wrote her autobiography which was published in June 2013. In March 2015, Katherine was inaugurated as Chancellor of Oxford Brookes University, a tenure she will hold for 7 years. Katherine is eager to be part of shaping the future of the University and credits her own extensive time in academia for helping shape her rowing career. In July 2017, Katherine took up the position of Chair at UK Sport (Britain’s high performance agency) where she hopes to build on the success and commitment to excellence that she witnessed as an athlete. Katherine excels when talking of teamwork, overcoming challenges, motivation, winning and the importance of communication. She tailors her talks to the occasion and takes any requirements needed for her clients into careful consideration.